FRANKFURT -- Volkswagen AG has unveiled a one-seat concept car with an electric powertrain, ahead of its debut at the Frankfurt auto show later this month. The NILS lightweight concept car has the same basic layout as a Formula 1 race car, with the driver in the middle, the engine in back, and free-standing wheels. 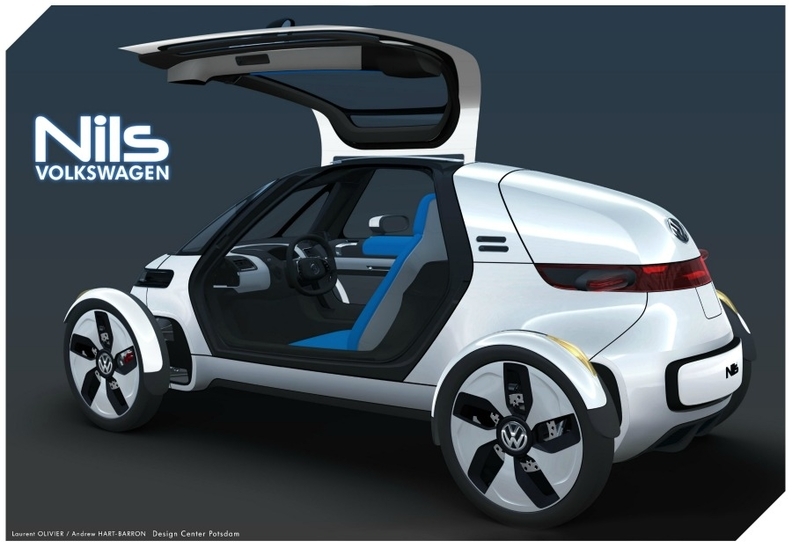 VW development chief Ulrich Hackenberg said the goal of the NILS project is to research a technically concrete and economically feasible micro vehicle based on electric drive technology. VW said the concept ''drives like a go-kart'' and can accelerate to 100 kph (62 mph) in less than 11 seconds and reach a top speed of 130 kph (80 mph). NILS weighs 460kg (1014 pounds) and has a number of weight-saving features such as an aluminum space frame, high-strength plastic panels and two glass gull-wing doors. 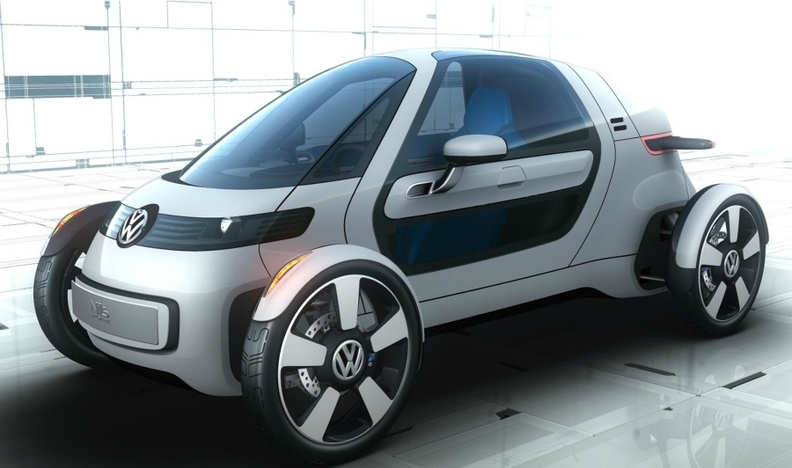 At 3040mm (120 inches) long, the car is 500mm shorter than VW's new Up minicar, which will also debut at the Frankfurt show. It is also low and narrow with a width of 390mm (15.24 inches) from wheel to wheel and a height of 1200mm (47.16 inches). The vehicle's lithium-ion battery can be recharged using a domestic power supply in just two hours and enables driving ranges of up to 65 kilometers, VW says. The car is powered by a 19kg electric motor, which is coupled with a one-speed transmission and a lithium-ion battery. 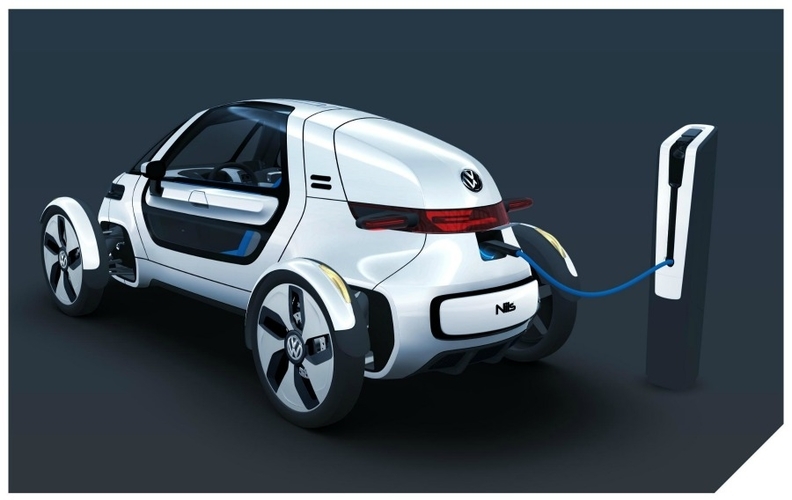 The battery enables driving ranges of up to 65 km, depending on the style of driving and can be recharged using a domestic power supply in just two hours, VW said. The vehicle is designed to be driven for short distances in commuter traffic. According to the German Bureau of Statistics, 73.9 percent of all commuters residing between Berlin and Munich cover less than 25km (15.5 miles) on their way to work, VW said. NILS is fitted with an automatic distance control system that uses automatic braking to maintain a safe distance between the car in front and a system that warns the driver of potential collisions at low speeds. The construction of the wing doors include a crash-reinforcement section to optimize driver safety. Development of the NILS is supported by the German government and the vehicle has been designed to be both technically realistic and economically supportable, VW said. The automaker is aiming for battery-powered vehicles to account for 3 percent of sales by 2018, the year it's aiming to sell more than 10 million cars, sport-utility vehicles and vans, CEO Martin Winterkorn has said. VW plans to bring electric versions of its Golf hatchback and the Up city car to market by 2013.